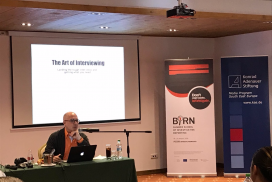 This year’s BIRN Summer School lead trainer, Blake Morrison, investigative projects editor at Reuters in New York, gave a lecture on Thursday about investigative interviews and advised participants how to make a successful approach to potential subjects. Morrison said that journalists must be honest with people they want to interview. “People need to know what you want and where you will go with it,” he explained. One of the most important things for a successful interview, Morrison, is how well the journalist prepares and how much he or she cares about the story. “Think why people talk to you, why they share their secrets with you and how you build relationships with that people,” he advised. Morrison’s second lecture on Thursday was about organising an investigative project. He explained that journalists need to think who are the victims of any situation, to use a timeline to show when something has happened, and to learn how to write an interesting story. “If you can’t get me in two or three sentences, you will lose me. Challenge yourself for every sentence,” he said, explaining why it’s important to have a good lead for every story. During the second part of the day, investigative reporter and producer for Swedish Television’s main investigative programme, Uppdrag Granskning’, Joachim Dyfvermark, talked about doing investigative stories for television and movie. He said that work for television is very complex, expensive and different from work for print media. “TV is run by emotions, not by facts,” he said. He explained and how his team organize their production process and what are the main phases in producing an investigative story. “On TV we need a show. How we will collect and create scenes which will describe problems? That’s what we are doing,” he said. Dyfvermark highlighted how work for TV can be stressful and complicated, but he believes that video is increasingly important for media. “I predict that in the next three years every media will need some kind of video production if we look at the global media situation,” he said. One of the keys to succesful investigations is networking, he said, explaining how his programme co-operates with journalists abroad. 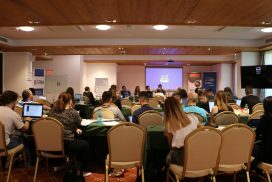 During the fourth day, the participants at the Summer School in Durres, Albania also continued to work on their investigation proposals that they will present on Friday. 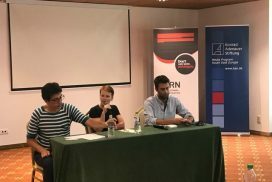 The sixth BIRN Summer School brings together journalists from Serbia, Croatia, Bosnia and Herzegovina, Albania, Macedonia, Bulgaria, Austria, Kosovo, Palestine, Germany and Georgia to learn from leading media experts about investigative reporting. 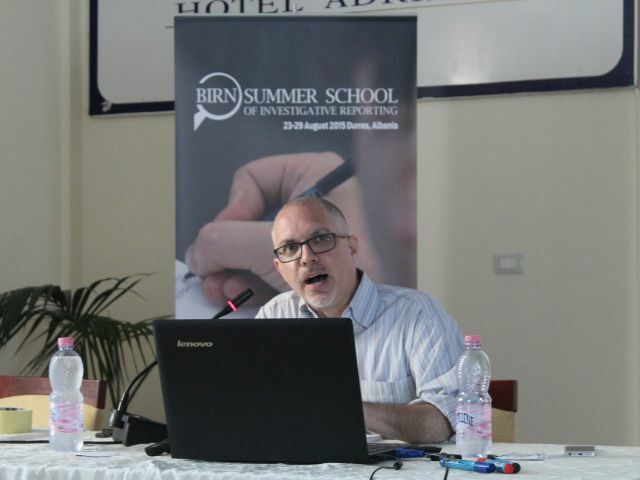 The Summer School of Investigative Reporting 2015 is organised by the Balkan Investigative Reporting Network, BIRN, in cooperation with the Media Program South East Europe of the Konrad-Adenauer-Stiftung, and with support of the Austrian Development Agency (ADA), Open Society Foundations and USAID Macedonia.